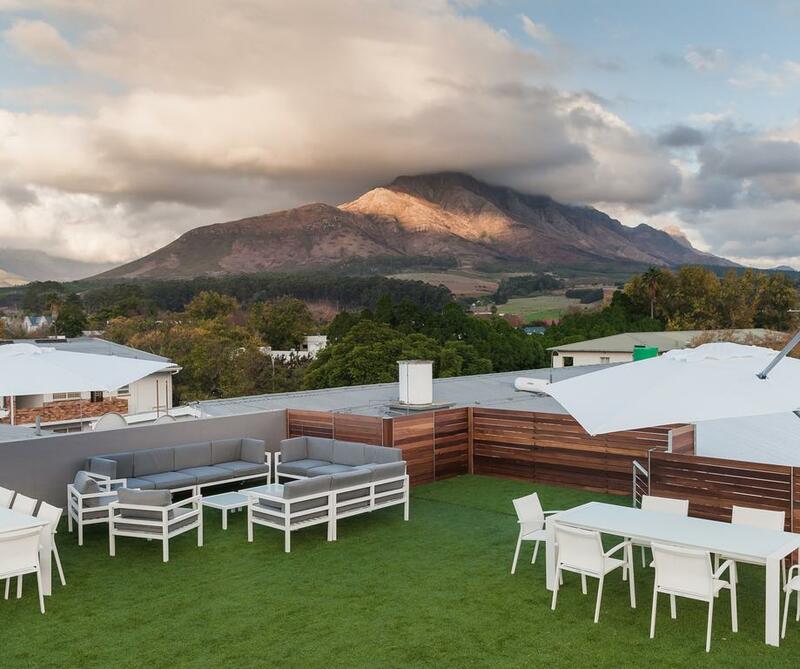 ONE of the best pieces of advice I can offer anyone – besides travelling as much as possible, wherever possible – is to never pass up an opportunity to spend some time in Stellenbosch, even if it’s only 24 hours. A little while back I invited myself to Eike, the latest restaurant opened by award-winning chef Bertus Basson. It was an incredible experience of traditional South African dishes presented with contemporary dramatic flair; open for dinner only, Tuesdays to Saturdays, Eike serves a set menu of multiple courses (dietary requirements will be accommodated as far as possible) which will, in Basson’s words, change as inspiration strikes. From this launch pad, I planned a little overnight stay in the winelands town, because driving that distance at night didn’t appeal. Plus I wouldn’t be able to have a nice glass of wine or three and drinking wine is more or less an unspoken rule in this part of the world. It would be just rude not to. My accommodation was at 107 Dorpstraat Boutique Hotel, in a room overlooking the street. Stellies is a vibrant town where there is much pedestrian traffic as well as motor. It’s lovely to be able to walk around, even at night (taking the normal precautions of course; there’s no need to be stupid about it), and staying over at a place so well located is a bonus. My room, pictured, boasted sleek and modern lines with bold and stylish accents, something which pervades the small hotel. It has a rooftop garden for a different perspective on the town, as well as a wine bar on the ground level. I was delighted to take up the offer of a free afternoon coffee and carrot cupcake for guests. As I lingered and the shadows lengthened, ordering a glass of wine seemed the right thing to do. Maybe even two. The next morning, I took my breakfast here too – a lovely light and fluffy omelette with more excellent coffee – in the early morning sunshine. Dorp Street is enough to keep you busy for the entire 24-hour sojourn. As the second-oldest road in the country, it’s full of interesting things to see, including being one of the longest rows of surviving old buildings of any major town in southern Africa. Having been around since the early 18th century, there is a variety of architectural styles, from Cape Dutch to Victorian. Places of particular note include the Verbatim Bookstore, which was once a funeral parlour with its windows built at the exact height needed to receive the recently deceased off wagons and Oom Samie se Winkel, which remains a trading store in the same vein as its original function. It’s crammed full of wonderful bits and pieces. More modern is the Blue Crane Coffee Company, where they take their brew pretty seriously. You can get all the normal coffees but if you ask nicely, they’ll make you something extra special in the lab. On the day I was there, Micah van der Merwe whipped up a dreamy concoction of coffee, chocolate, cream and strawberries – and a few secret ingredients – which was delicious. Thus fortified, I sallied forth to visit the Toy & Miniature Museum, something I’ve been meaning to do for years. The day was a beautiful early spring one so the stroll was pleasant and included a bit of window shopping along the way. The museum is charming with its collection of 1:12 scale miniatures, room boxes, antique dolls, Dinky cars, cuddly toys and more. There is a large doll in a glass case, her head cast downward. The keeper of the toys told me that her eyes are too scary and she frightens all the children. My favourite bit was the trains which run along their tiny tracks through detailed countryside inside a glass case. Getting them to tootle around was the best R5 I spent that day.